Gridlock and Mozzie are mates from way back. From the first time they met at a robot destruct-o-rama in their teens to a few years later when Mozzie convinced Grid to join the Defence Force, they stayed in constant but distant contact. It wasn’t until they were called in to help fight one of the century’s largest bushfires that they really clicked. They’ve been deployed together ever since. A farm girl from Central Queensland, Tori “Gridlock” Tallyo Fairous learned from an early age that the best way through any hardship is with the help of family. Years spent running the family cattle farm honed her natural leadership skills, but her preferred method for dealing with problems is to get stuck into them herself and to ignore the inevitable paperwork that piles up afterward. Suffice to say, taking on a more formal role as an officer in the SASR hasn’t been one of her top priorities, despite the many attempts made to promote her. Max “Mozzie” Goose is her opposite. Affectionately known as a “show pony” there’s no mistaking when he walks into a room. He can talk for hours about the wild stunts he’s pulled… But at the end of the day it’s his exceptional work ethic and ability to integrate with any team – as well as his unnecessary yet spectacular derring-do – that made him a candidate for Rainbow. Now that they’ve officially signed up, they’re in for an unwelcome surprise: for the first time they’re going to be facing off against each other. As an Attacker, Gridlock will be deploying her Trax Stingers – originally designed to stop pursuing vehicles in their tracks – to add a new dimension to her team’s control of their surroundings. And Mozzie, as a Defender, will deploy his Pest to make the enemy think twice about their intel gathering strategies. Whether the two of them can work against each other as effectively as they have together remains to be seen. Regardless, they’re set to bring a sea-change to the Rainbow team with their can-do Aussie attitude and unique sense of humour, which may turn out to be just what the doctor ordered. 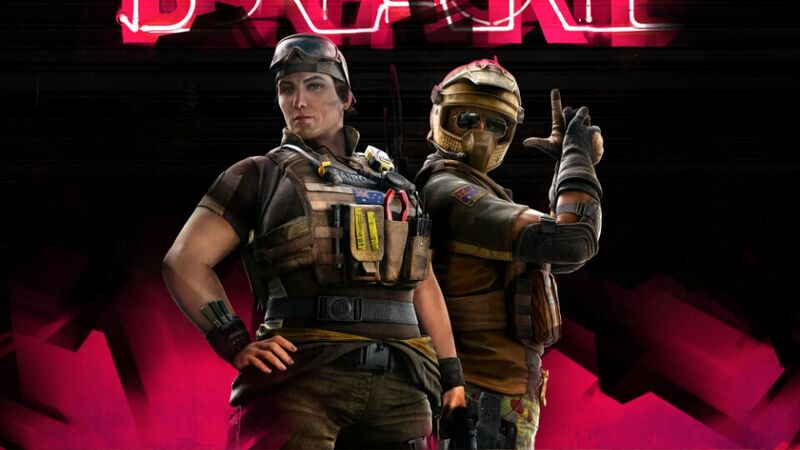 Gridlock and Mozzie are joining Rainbow Six with Operation Burnt Horizon. For more information, follow us on Facebook and Twitter or join the discussion on our subreddit and forums! Visit our Rainbow Six Twitch Channel on February 17 for the full reveal of Operation Burnt Horizon, live from the Six Invitational in Montréal.